The opera house and marker are located on the northeast corner of the intersection of Main Street / County Road G and Clark Street, at or near 1401 Main Street, St Cloud, Wisconsin 53079. The St. Cloud Opera House opened February 18, 1916. 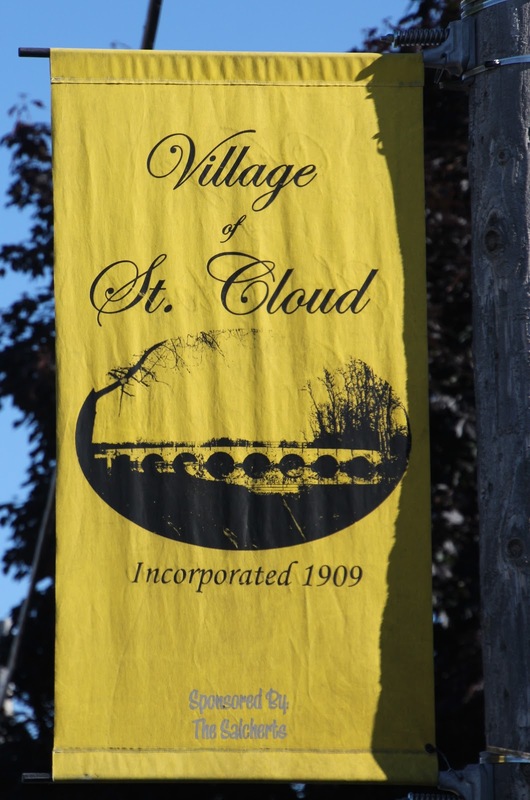 A passenger train was commissioned to bring guests from Fond du Lac to attend the celebration, enjoy an evening of dancing, and then return home on the same train. Owners Mr. and Mrs. Ed Enders operated the Opera House as a modern dance hall, a venue for weddings and other celebrations, and as a movie theater. Visitors especially enjoyed the balcony that encircled the interior of the building. 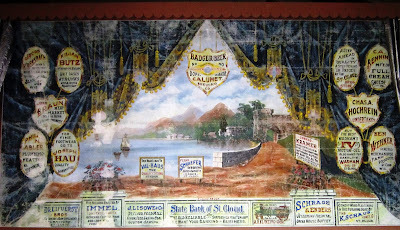 In 1921 a colorful cabaret curtain featuring an idyllic, hand-painted lake scene and advertisements for local businesses was added. Nothing in the area compared to Enders’ Opera House, and it soon became the village showplace. The Enders also owned Idlewile Hotel, and on dance nights guests filled the dining room to enjoy Mrs. Enders’ renowned chicken dinner. Mrs. Enders was reputed to have little tolerance for troublemakers; offenders were removed by Mrs. Enders herself! Mr. Enders retired in 1950. The American Legion purchased the Opera House. The building changed hands a couple of more times. Along the way, the cabaret curtain was rolled up, stored in a local carpenter’s attic, and forgotten. Today the Opera House is the Cabaret Supper Club and Hall, family-owned and operated by Paul and Ginger Stephanie, where hundreds of people attended the building’s centennial celebration in February 2016.
and is visible to the right of the entrance to the right. The Cabaret Curtain . . . The Opera House is located in St. 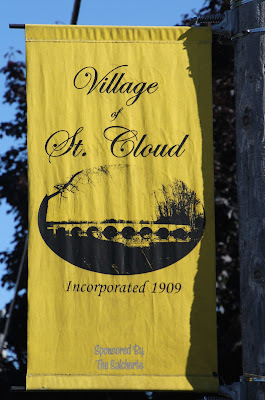 Cloud, Wisconsin.